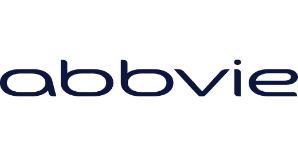 AbbVie is expanding its oncology hub on the West Coast, with three sites in the San Francisco Bay Area (Redwood City, South San Francisco, and Sunnyvale) focused on the discovery and development of novel oncology therapies. More than 1,000 AbbVie scientists, clinicians, and product developers with strong entrepreneurial roots work across these three sites. They combine their expertise in immuno-oncology, stem cells, and cell-signaling with their knowledge of bispecific antibodies, antibody-drug conjugates (ADCs), and covalent-inhibitor technologies to discover and develop novel cancer treatments. This position will be in early-stage oncology development and can be based in South San Francisco or Redwood City. Ensures statistical methodology is appropriate, consistent with the objective(s) of the scientific protocol. Leads the effort in developing innovative statistical methods that are aligned with the project strategy, and applies scientific rigor to methods of analysis and interpretation results. In collaboration with Data Sciences, Statistical Programming and other stakeholders, ensures data collection instruments are designed to capture protocol-specified scientific information and study databases are implemented such that short- and long-term project needs can be achieved. Provides in-depth scientific/statistical review and ensures accuracy and quality of the statistical component of scientific reports and/or publications. Provides analytical and strategic leadership for exploratory activities such as biomarker development, and due diligences. Ensures that study results and conclusions are scientifically sound, clearly presented, and supported by the statistical analyses provided. Manages CROs to ensure quality deliverables are completed within pre-determined timeline and budget. Participates in and contributes to scientific/statistical seminars and review forums. Contributes to the improvement and standardization of global functional processes and procedures. Builds external scientific contacts which foster professional development and promote the reputation of the department. Mentors other development stakeholders with regards to statistical methodology and departmental operations. Mentors and/or manages personnel when appropriate. Ensures continuous development of staff through internal and external training opportunities. Gain expertise on and provide training on innovative methods to staff when necessary. Responsible for providing strong professional and technical leadership to maintain a highly motivated staff. Ensures that self and staff are compliant with training requirements.